Details about a memorial service and benefit are forthcoming. In the meantime, read the full statement below. We want to extend our deepest and most sincere thanks for the overwhelming support, love and encouragement we’ve been shown over the past few days, in the wake of such an incredible loss. We would like to express our deepest condolences to the families of Soroush and Arash Farazmand and Ali Eskandarian, and will together share our sorrow. Yellow Dogs and Free Keys met in Iran in 2006 with a shared vision of building a strong artistic and creative community. With all of the limitations that we faced there, we still found a way to express ourselves and create art that we believed in. We built an underground venue together so we could play shows, and forged strong bonds of friendship, love and support. Yellow Dogs came to America in January 2010, and Free Keys joined in December 2011, with Icy and Sot arriving a year later, bringing our close-knit community together in America. Shortly after the Yellow Dogs arrived in New York, we met Ali Salehezadeh, our manager, and a few months later, fellow musician/author Ali Eskandarian – the group of us connected immediately, forming an instant bond. We rented a house together in Brooklyn, a refuge where we could pursue our dreams and make music together. Since that point almost four years ago, we’ve lived together, worked together, created together and fulfilled some of our wildest dreams together. The transition between Tehran and New York was not without difficulties for Free Keys, whose bass player was unable to secure a visa in Iran. With shows already scheduled in New York, the band recruited a new member, Ali Akbar Mohammadi Rafie ‘Rafi’, before coming to the States. By the third show in May 2012, Free Keys decided to stop working with Rafi as a result of personal and musical differences. It became clear very quickly that he was not a natural fit within our group of friends, and his personal views conflicted with our approach to our art and to the world. A few months later, both bands severed ties completely with Rafi and in the 14 months since then, we’ve had no contact with him at all. 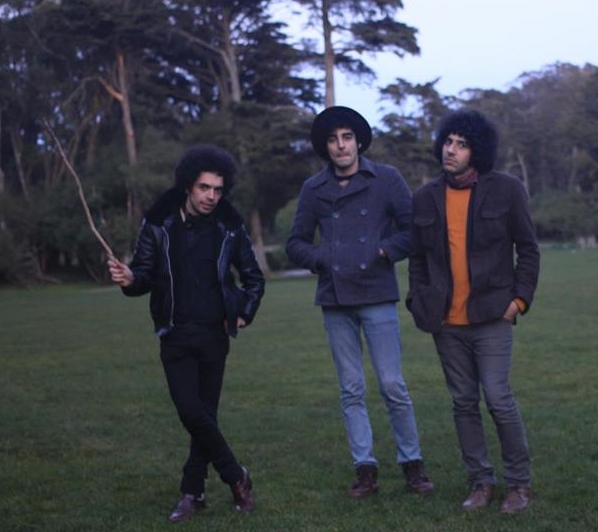 Free Keys enlisted new members and started to move in a new direction artistically, a decision that allowed drummer Arash to join his brother Soroush to play drums in the Yellow Dogs. With both bands’ lineups complete, we were excited about continuing to work and create music together. All of that ended Sunday night. Before committing suicide, Rafi shot and killed our guitar player and drummer, brothers Soroush and Arash Farazmand, and our roommate and dear friend, Ali Eskandarian, who was also a frequent guest vocalist for our band. Three days later, we’re still here, still breathing but with a gaping hole in our hearts. For now it’s impossible to even imagine a future without our friends, and no explanation can make sense or begin to justify what has happened to our lives. To say we are heartbroken does not come close. These are the darkest hours of our lives, we are in shock, awe, blinded with rage and paralyzed with grief. Ali Eskandarian was nearly finished with his memoir, Arash had just received political asylum from Iran and Soroush was hard at work on new Yellow Dogs material. Everything we had hoped and worked for was finally coming true…the future was so incredibly bright. In the aftermath of these horrific events, we are left with pain, emptiness and so many questions that won’t ever be answered. We wanted the world to discover us as we were: a community of musicians defined by our music, our friendships, our culture and our art. This is not the way we ever imagined the world would learn of our story. As we face the greatest sorrow we’ve ever experienced, we’re left with something that no one could ever take away from us – beautiful memories of our fallen brothers, friends who we love and so desperately miss. We will not forget the dreams we shared and this life that we built together – it’s stronger, more permanent, more real and more full of life than any senseless, evil act could ever begin to take away from us. We will not let this disgusting brutality define us or become our story, but instead respond by creating music more passionately and with more intensity than ever before, embracing the freedom that we all dreamed would one day be ours back in Iran and play to honor those who should be playing next to us. That is who we are, and that is what we stand for, and we will strive to honor the lives of Ali, Arash and Soroush for the rest of ours. We are currently planning a memorial service for Ali, Arash and Soroush, and will announce more details shortly. We are also organizing a benefit to help with the costs incurred by this tragedy. We would greatly appreciate if the privacy of our friends and family is respected during this difficult time. If you’d like to make a donation, you can do so here.